CONVERSE SHOES. SIZE 7 TODDLER. CONDITION GOOD LIGHT WEAR LIGHT DIRT. 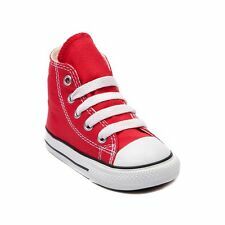 I nfant/Toddler Converse All Star Low Sneaker. B lue Canvas. 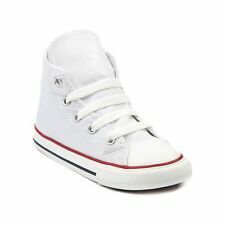 CONVERSE ALL STAR LACE UP HIGH TOP Sneakers, size toddler 7, in excellent condition from a smoke free home. These shoes seriously look practically new, with the only real wear being on the bottoms. See pictures for details. Feel free to contact me with any questions. Ships within 24 hours via USPS First Class Mail! The shoes show no wear. New and unworn condition. We offer fast shipping and friendly service. 2nd item ships free. Please check our other auctions! In GREAT condition. No scratches, scuffs or creases! 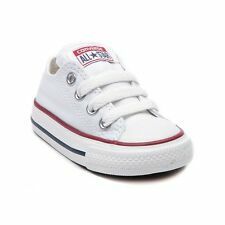 Toddler Shark Converse All Star Size 7 Shoes Grey. Condition is Pre-owned. Shipped with USPS Priority Mail. Shoes appear to be in overall great shape please see pics thanks for looking. Black and Silver is size 6 Blue pair is size 7 Converse Size 6/7 Kids Shoe. Condition is Pre-owned. Shipped with USPS Priority Mail. NIKE CONVERSE CLOGS & 2 PAIRS OF HEELED DRESS SHOES. 🌟LOT 🌟EUC 5 pairs of little girls shoes. 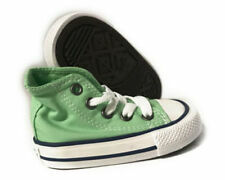 New in box toddler Converse shoes. Size 7c. Red and blue star print perfect for July 4th. Comes from a smoke free and pet free home. shoes kids boys toddler lot of 6 -Nike, converse, polo and unbranded . Condition is Pre-owned. Have a few scuff marks. See pictures. 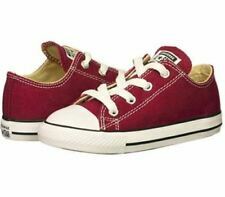 Toddler girls converse size 7. Shipped with USPS First Class Package. 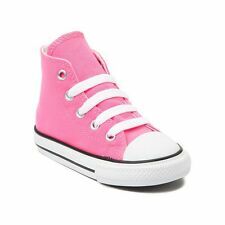 Toddler Girls' Converse pink sneakers sz 7. Condition is Pre-owned. Shipped with USPS Priority Mail. CONVERSE Kids All Star Chuck Taylor Black Canvas Athletic Shoes Toddler 7 These little chucks look new. They are super clean, no odors and no stains. Check out the pictures. Size 7 Black Peace Sign Print Canvas Toddler Girls Shoes CONVERSE All Star. Condition is Pre-owned. Please note shoes are in great condition but top lace has been cut on both shoes. It looks like an easy fix and does not effect the wear of the shoe. Shipped with USPS Priority Mail. Good used condition see all photos. 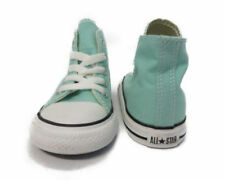 I have a pair of converse all star chuck Taylor toddler girls/boys light aqua hightop shoes, they are size 7 C. I don't have the box. infant/toddler,Kids and adult jordans, converse,stride rite and others. 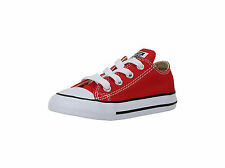 Toddler slip on Chuck Taylors. Blue with orange. PURPLE RHINOS. CONVERSE SHOES. Pre-owned item.